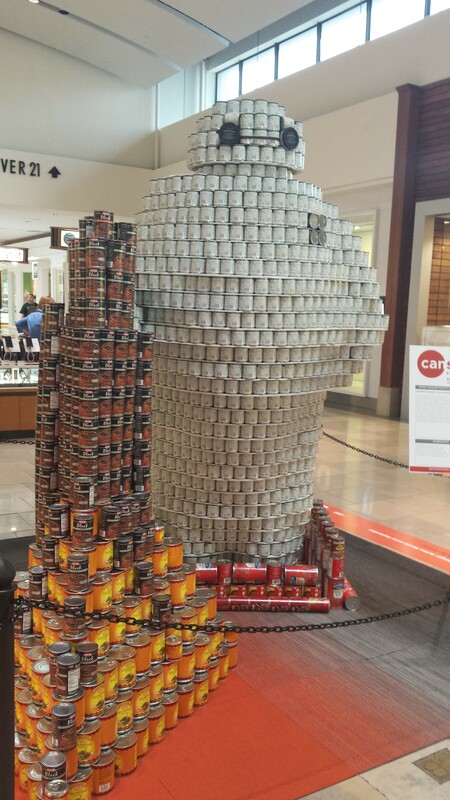 There’s some serious cansculptures around the North Star Mall this month. 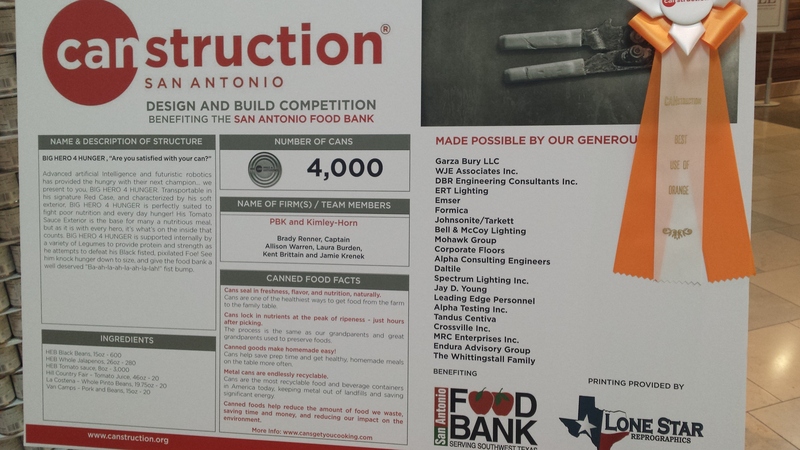 Alpha sponsored the PBK Architects and Kimley Horn team for the CANstruction competition, benefitting the San Antonio Food Bank. 4,000 cans later, Baymax from Big Hero 6 was canstructed for their project “Big Hero 4 Hunger”. Our team came out of the awards ceremony with a big ribbon, for “Best use of Orange”. And now it’s your turn to vote! Find the link to the People’s Choice here and help Baymax earn another ribbon! Thanks to all who braved the cold with us in February at the Form Follows Fitness 5K, benefitting the DCFA. To spice things up this year, Alpha offered Nike gift cards to the fastest male and female runner (or walker) in each age group. 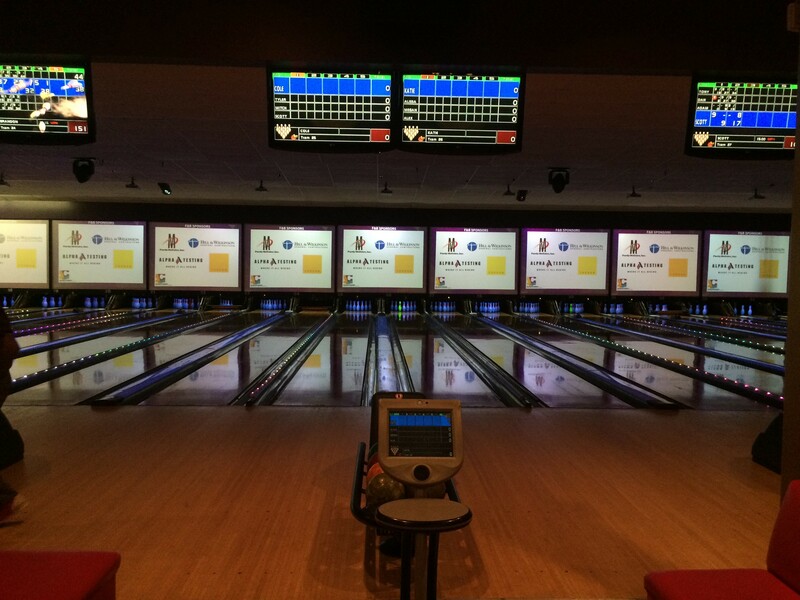 Congratulations to all 13 winners – enjoy your Nike cash (better late than never, eh Jeff ?!). 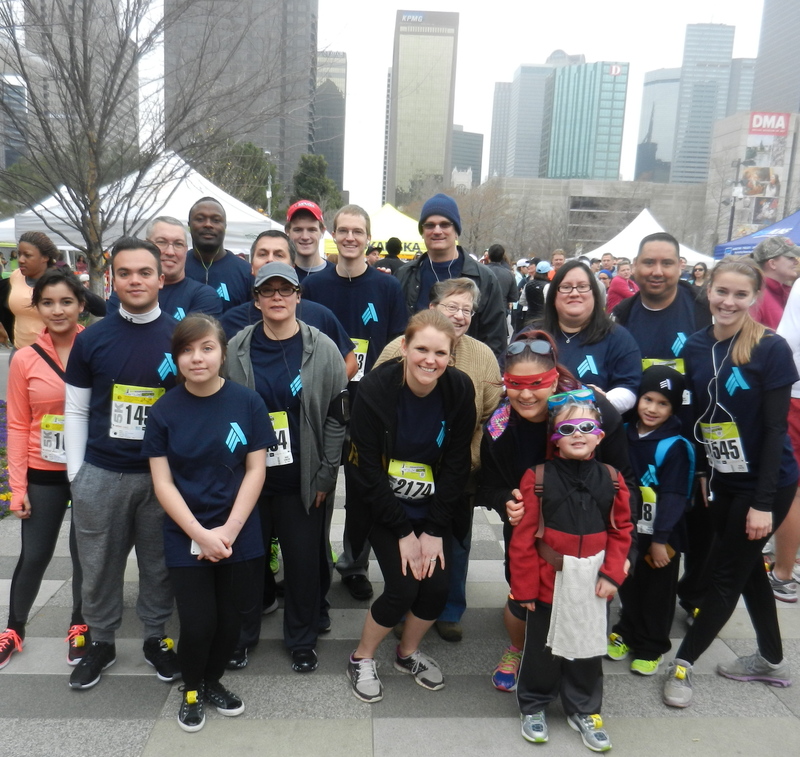 Join us for the FFF 5K race at Klyde Warren Park next year! Jeff promises prizes MUCH sooner next round! South Dallas is often referred to as a food desert, leaving residents with limited access to fresh produce. And that’s exactly why Daron Babcock created Bonton Farms, a community garden focusing on agricultural sustainability through education, job training, and employment, giving the Bonton neighborhood access to locally grown food. But the community garden is not the only growing force on the farm. Four-legged and winged friends including goats, chickens, turkeys, rabbits, and honey bees roam the grounds too, with Moses the dog to watch over them! 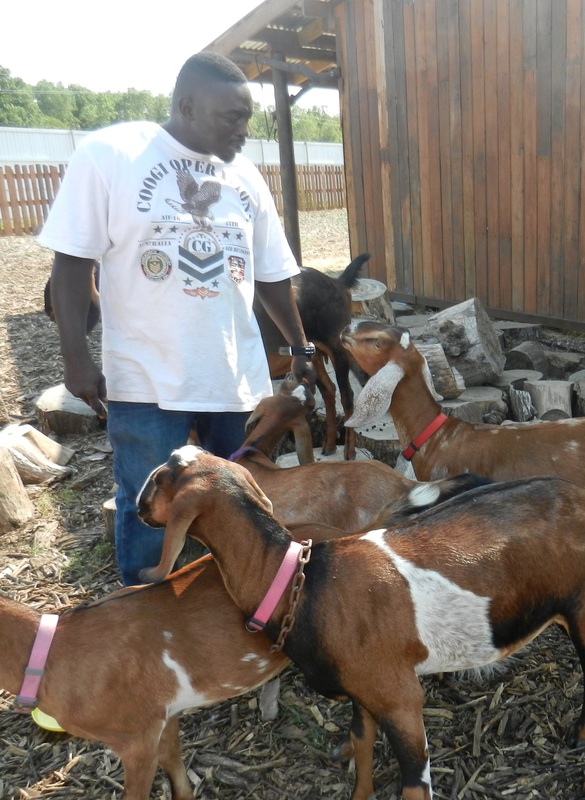 Honey is collected, the goats are milked, and dozens of eggs are harvested every day at Bonton Farms. All food that is not given to the community and volunteers are sold at the Farmers Market and to two restaurants, Café Momentum and Garden Café. As the farm, vegetables, and community continue to grow, big plans are in the making. Alpha contributed a geotechnical study for Bonton Farms for a planned Flex building, a multi-use structure, which will house an area for processing goat milk, an education center, and living quarters for the farm caretakers. Bonton Farms is growing more than food out in South Dallas, they are growing community and changing lives. See more pictures of Bonton Farms on our Facebook page.